This is the definitive book on antique bird decoys, a gorgeous hardcover volume illustrated with hundreds of stunning color photographs of classic decoys from all over North America, plus Audubon prints, historic black and white photos, nineteenth-century prints, and more. Click here for more information. A compelling read [that] combines natural history, art, and cultural history in one gloriously illustrated book. This belongs on the shelf of every enthusiast of decoys, folk art, or ornithology. A must-have book for all decoy enthusiasts, but also of great value and interest to sportsmen, birders, American history buffs, and folk art enthusiasts. Definitive. Classic surrey by the most influential collector of his time. The sale of Mackey's immense collection in the early 1970s was a seminal event. The Art of the Decoy:American Bird Carving, Adele Earnest, New York: Random House, 1965. Insightful study by one of the great early folk art dealer/collectors. Still the most comprehensive and useful survey, encompassing all of North America. The Decoy as Folk Sculpture: An Exhibition of Waterfowl and Fish Decoys from the Collections of Ronald Swanson and Julie and Michael Hall, Michael Hall and Ronald Swanson, Bloomfield Hills, MI: Cranbrook Academy of Art Museum, 1986. Hard to find catalog of exhibition combining two great collections. Hall's essay "Marsh Trek: The Dilemma of Decoys" is worth the price of admission alone. Wild Fowl Decoys, Joel Barber, New York: Derrydale Press, 1934. The first book on decoys by the pioneer collector and artist. The best written and most charming decoy book ever, with many important insights into what Barber called "floating sculpture." Barber's collection was acquired by The Shelburne Museum after his death in 1952 and much of it is exhibited in the Museum's Dorset House. 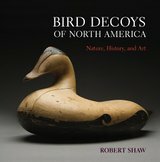 The definitive book on antique bird decoys, a gorgeous hardcover volume illustrated with hundreds of stunning color photographs of classic decoys from all over the United States and Canada, plus Audubon prints, historic black and white photos, nineteenth-century prints, and more. Hardcover, 304 pages, with stunning color photographs of more than 300 classic decoys, plus dozens of Audubon bird prints, historic photographs, and illustrations. Sterling Publishing, 2010. Call to the Sky: The Decoy Collection of James M. McCleery, M.D. Catalog of 1992 Houston Museum of Natural Science exhibition of the greatest decoy collection of all time. Dr. McCleery's collection was sold at Sotheby's in New York in 2000, where it brought more than $11,000,000. Hard and soft cover editions, 7.5 x 10.25 in., 120 pp., 60 full page color photos. Gulf Publishing Company, 1992. Email Ron Gard for copies. Includes remembrances of Jim McCleery, symposium presentations, stories from The New York Times and other major publications, and a personal note by Kitty Mackey, daughter of legendary collector William Mackey. "While the final word regarding the James McCleery auction/collection may never be in, the definitive words on the subject have recently been published. Shaw and Gard have not only paid tribute to one of world's greatest collectors, they have also paralleled his ideals with their effort." A large format survey with hundreds of full-color photographs. Presents decoys by region, from Canada down the Atlantic Coast, inland along streams and rivers to Louisiana, up the Mississippi to the Great Lakes, and across to California and Oregon. Each chapter is written by a regional expert. Introduction and chapter on collecting decoys by Robert Shaw. Hardcover, 14.7 x 10.8 in., 320 pages, The Lyons Press; ISBN: 1585741205. Only a handful of museums have decoys on permanent exhibition, so be sure to check ahead. If the museum’s birds are in storage, you may be able to make an appointment with a curator who can show them to you. One of the outstanding collections of American folk art, including decoys and ornamental carvings by Shang Wheeler, Gus Wilson, and others. One of the outstanding collections of American folk art, including decoys by Cobb, Crowell, Lothrop Holmes, Osgood, Wilson and many other masters. Small collection including works by Elmer Crowell and Albert Laing. Some decoys on exhibit in their folk art gallery. More than 500 Canadian decoys. Small collection includes a remarkable group of shorebirds by John Dilley. Decoys by Susquehanna Flats carvers. Large collection of decoys and bird carvings by Elmer and Cleon Crowell, as well as hundreds of their patterns and a recreation of their workshop. Illinois decoys by many of the region's masters. Illinois decoys, including works by Elliston, Graves, Perdew and Schoenheider. Permanent exhibit of primarily Long Island decoys, including masterpieces by Bownan, Gelston, and Verity. The Michael and Julie Hall Collection includes outstanding examples by Bowman, Cobb, Crowell, Elliston, Lothrop Holmes, Schweikardt, the Ward brothers, and Shang Wheeler as well as a variety of other superb folk art sculpture. Small collection of decoys purchased from William Mackey Jr., including several birds pictured in his book, American Bird Decoys. More than 350 historic New Jersey decoys and contemporary decorative bird carvings, many from New Jersey. Outstanding collection of Massachusetts decoys by Crowell, Lincoln, Nichols, and other masters. Preserves the home Perdew built in Henry. The finest and most comprehensive decoy collection on public exhibition, including the Joel Barber Collection. Masterworks from all regions, as well as a large selection of decorative and miniature carvings by Crowell. 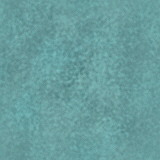 Lincoln, A.J. King, and others. Dorset House open mid-May through the end of October. A maritime village that encompasses seventeen historic and recreated buildings including a gallery of New Jersey coast decoys. Historic decoys and contemporary decorative bird carvings. Holds an annual show and publishes a quarterly newsletter. Holds annual antique decoy and collectibles show at the Thunderbird in Bloomington the first weekend of February. Annual show held the third weekend in March at the Holiday Inn West, Westlake, Ohio. Author of Decoys of Southwest Ontario. Specialist in Canadian decoys. Specialist in West Coast decoys. Ted and Judy Harmon. Dealer, broker and auctioneer, decoys from all regions. Holds large annual summer auction. The leading decoy auction firm, with four auctions each year. Broker/dealer specializing in Southern decoys. Outstanding Americana and sporting art sales that often include decoys. Ron Gard is the decoy specialist. Specialist in Illinois River and mid-West decoys.